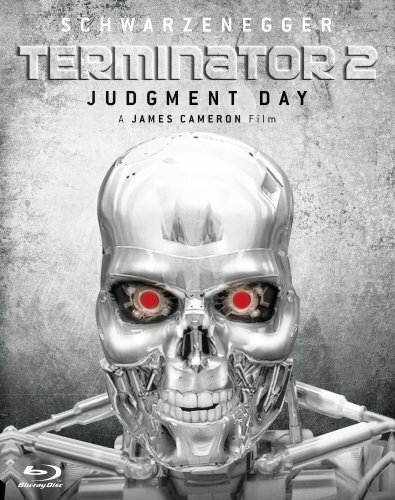 “Terminator 2: Judgment Day” is a favorite film. All the issues I had with the “The Terminator” in it feeling a bit rushed, raw and lacking character development of character outside Reese and Sarah is corrected in this one. There are still some one-dimensional antagonists, but we get more heroes and our heroes are more complicated. No one is perfect in this film and for that reason it is able to explore powerful themes related to choice, the soul and destiny really well. The film was directed by James Cameron who also produced and wrote the film. It was also co-written by William Wisher. The story is about Sarah Connor (Linda Hamilton) who is an institute after she is captured between the last films as she tries to escape to train her son John Connor (Edward Furlong) to lead the resistance against Skynet. A T-1000 Robert Patrick) is sent back to kill her son but Future John Connor sends back a Model 101 (Arnold Schwarzenegger) to protect him and to stop the T-1000. From here things get complicated as John and Model 101 help Sarah break out of the institute and she looks towards destroying Skynet’s creator Miles Dyson (Joe Morton) to prevent the future ruled by the Terminators from occurring. The Pros: The Story – The story is really good. From us seeing the dark future that Model 101 and the T-1000 came from, to Sarah Connor being trapped and John Connor being alone and how all their forms of resisting their programming or authority bring them together to try and bring about a future where humanity is saved. This attempt to fight destiny and find hope is really powerful. The Narration – Sarah Connor narrates the story and mentions the events from the first film as well as talking about the events of this film. She ends on a hopeful note too as we see the events of the film remind her what she is fighting for beyond training John for a desolate future. The Cinematography – The Cinematography is beautiful in this, from the action scenes where the T-1000 is usually in a large vehicle or stronger vehicle facing off against Model 101, Sarah and John to Sarah’s vision of the apocalyptic future where her and a playground and the city burn. It captures the desolation and the full strength of what they are up against in the inevitable march to the future. Adam Greenberg did a fantastic job. The Characters – Most of the characters are wonderful in this. The Connors are complex, Model 101 is complex as it becomes more human and the T-1000 is just a fantastic enemy. John Connor – Edward Furlong is a great child actor. In this we see him as both a rebel and punk but also someone who cares about human life as he orders Model 101 not to kill people. His arc is him truly seeing the value in others and stopping the Terminator 101 and his Mom from crossing the line and losing their souls in the process as they are bent to achieve their means by any ends initially. He is the soul of the group that way and his imperfection (he is a thief, doesn’t respect his foster parents or his mom for a lot of the film) that at the core he is good. Miles Dyson – Joe Morton is great as the scientist who invented Skynet. He is a father and and one of the few African American scientists from this era in cinema. His arc is redemption equels death as after Model 101 reveals is is a Cyborg he works with the Model, Sarah and John to destroy the future tech from the first film he was using to jump start the future and the computer where all his work is to prevent the future he would have created. He is a great guy and we see he loves both his work and his family but family takes priority once he understands what his work will create. In the end he is killed by a SWAT team but not before he gives Sarah, the Model 101 and John more time. I really liked his character and how complex he was. The T-1000 – Robert Patrick is a wonderful threat in this as the liquid metal shape-shifting Terminator who destroys John’s Foster Parents and most of the threats it comes up against. It nearly kills John and is about to kill Sarah before it is stopped. It is a Terminator driven by some sort of emotion as we see rage or pain when it dropped into the vat of metal and that no matter how many times it is hit, it continued to fight. It took the form of a cop, which allowed for great symbolism too as it represented the authority of Skynet over humanity in the future that it came from and hoped to create. Sarah Connor – Linda Hamilton has really grown as an actress since the last film. She was good in the last film but in this we see her dealing with the trauma she went through and how the future haunts her given her loss of Reese (who she has visions of) and of how what she knows leads to her isolation and imprisonment. This doesn’t stop her from escaping on her own and trying to prevent the future, even if it means killing another. She is really to kill Dyson until they convince him of what the future holds and he stands by them ready to stop it. We see her come to care about the Model 101 through her love for her son and at the end that in her despair she finally has hope as she was part of the reason the Model 101 learned to value human life and feel. The Final Fight – The Final fight is really great. From the T-1000 chasing them in a helicopter and giant truck, to Model 101 and Dyson against the cops and finally the fight in the factory with the hot metal where the T-1000 has injured all of them and it takes Sarah and the Model 101 to take him out together. Choice and Resistance – One of the main themes of this movie is the power of choice and resistance. From Model 101 choosing to protect beyond John and from it realizing the value of life and from Sarah sparing Dyson’s life and seeing that she has lost sight of the big picture too. Throughout these choices you have Skynet and through Skynet the T-1000 and even the cops upholding corrupt authority and ending life on multiple occasions. The cops always shoot to kill and Dyson dies because of it. Where none of the heroes kill and are usually always in a smaller vehicle or out numbered by their foes. From this is born the resistance and the choice to fight it. Themes of Corrupt Authority Needing to be Fought – Corrupt authority and the need to fight it is also a theme. From the cops working for the organization that created Skynet, from Skynet sending the T-1000 back and it taking the form of a cop that kills on multiple occasions you have unchecked authority just like Skynet is in the future where human choice is taken away and all that exists is the authority. Destiny, Can the Future be Changed? – The question remains open on weather the future was changed or not, as we never see what happened to the arm of Model 101 even though the T-800 chip and arm from the last film were destroyed as was most of the body of the Model 101. Did anything our heroes do change a thing? Did Dyson dying and destroying his work prevent someone else from eventually creating it? These are the questions that remain open and whether the future is set in stone and things are destined to happen or whether our actions truly change the future. The Ending – The ending is hopeful as John and Sarah are on the road again both changed by events and Sarah who had only the fight and her love of John to keep her going now has has hope since even if a Terminator can learn to value human life, that why can’t humanity? It is a great question and point and ending on the open road was a great symbol of the future and how it is unknown. The Cons: The Psychiatrist – I never got that he truly cared about Sarah as even when she was on good behavior he still would not let her see her son. To this end he was the one-dimensional antagonist that seems to appear in every James Cameron film. Wasn’t impressed especially since Sarah Connor’s vision of the future could rightfully be seen as delusional but his lack of compassion did not help his perspective. This film is a classic for a reason and worth multiple watches. It is an action movie that thinks and poses important questions that it tries to wrestle with while giving us complex characters who have arcs and presenting these arcs along with the powerful themes of choice, resistance and tackling the question of destiny. It is also beautifully filmed and truly one of the best films that James Cameron has created.